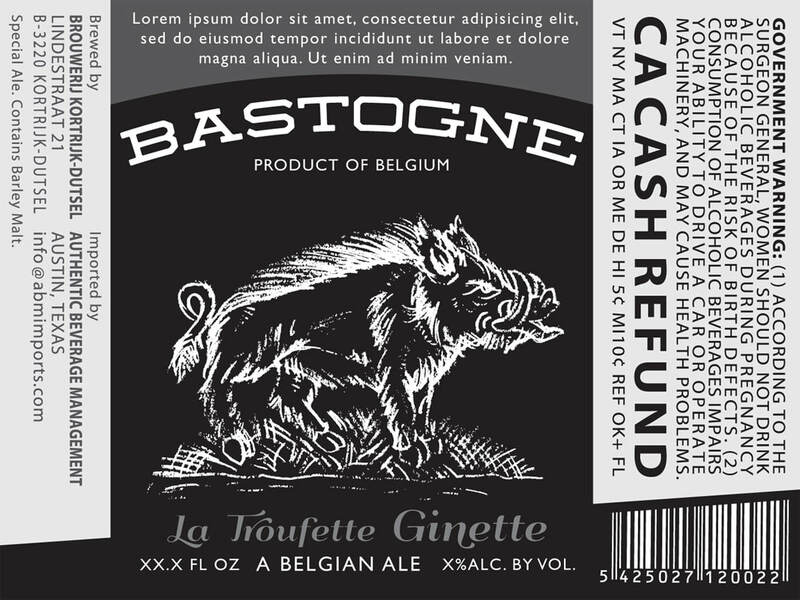 Identity design, label illustration, and color story for the stateside release of Bastogne family of beers. 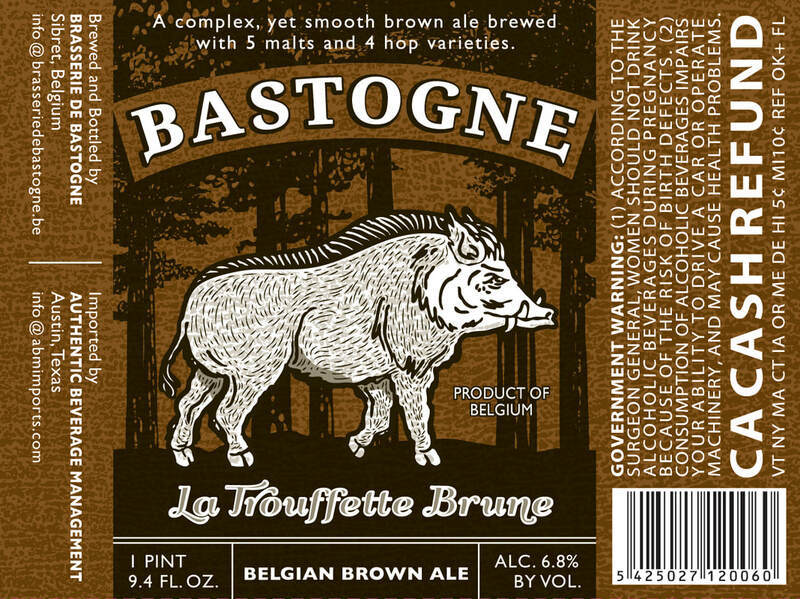 In Belgium, the brewery is known by the name La Trouffette, however, importers Authentic Beverage Management thought it would be more marketable in the U.S. under the recognizable name of Bastogne, a location where World War II battles were fought. 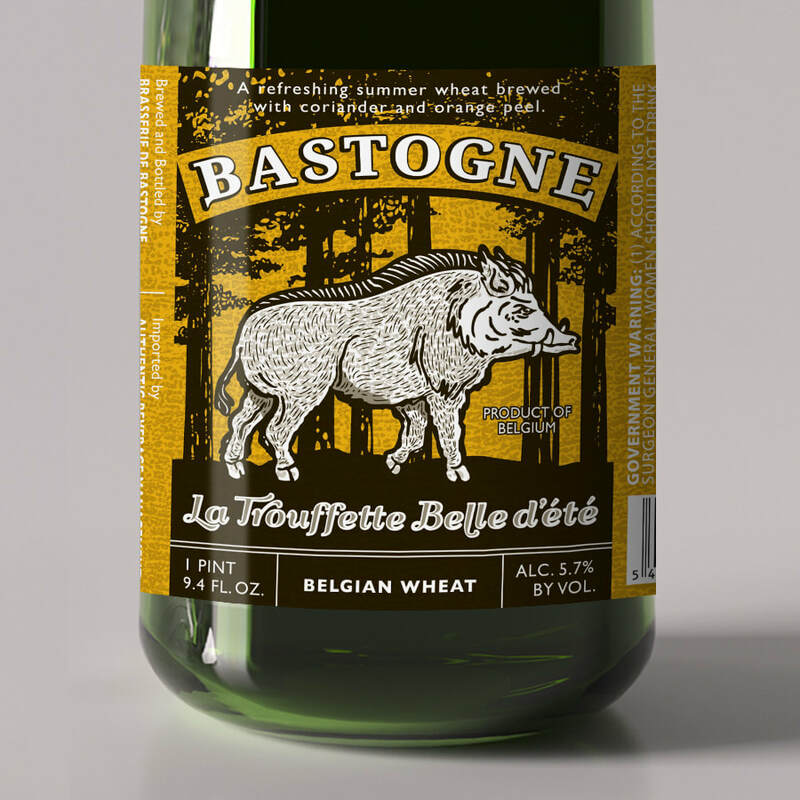 As the mascot, we chose to feature a wild boar, which roam the Belgian forests. 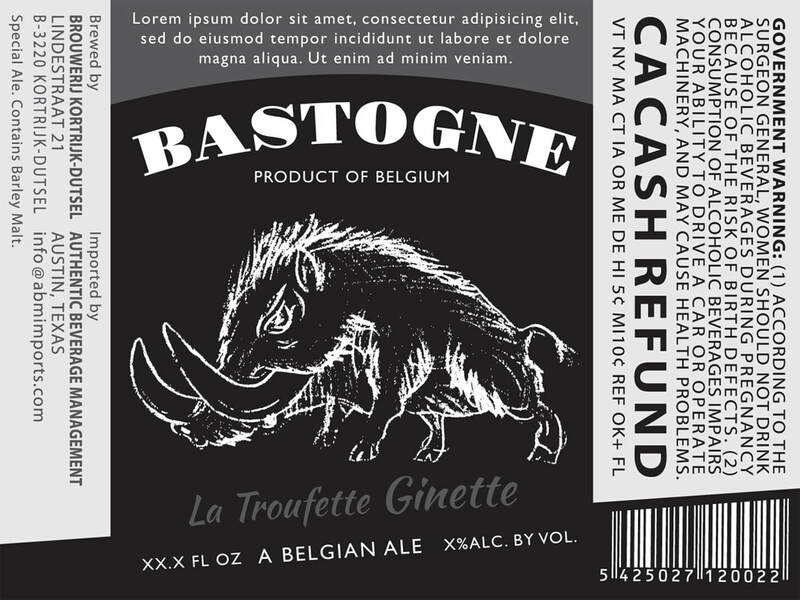 We worked through several iterations of the boar in various movements, including large tusks, charging, with crazy hair, finally selecting a poised, regal stance to highlight the premium quality of the craft beers. 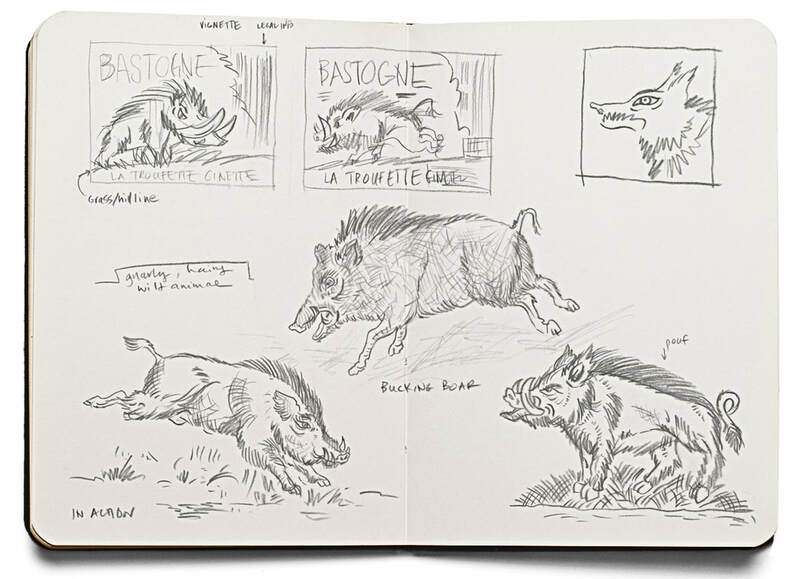 Not too aggressive and unpredictable, the boar is featured in the foreground, framed by light and a silhouette of trees. 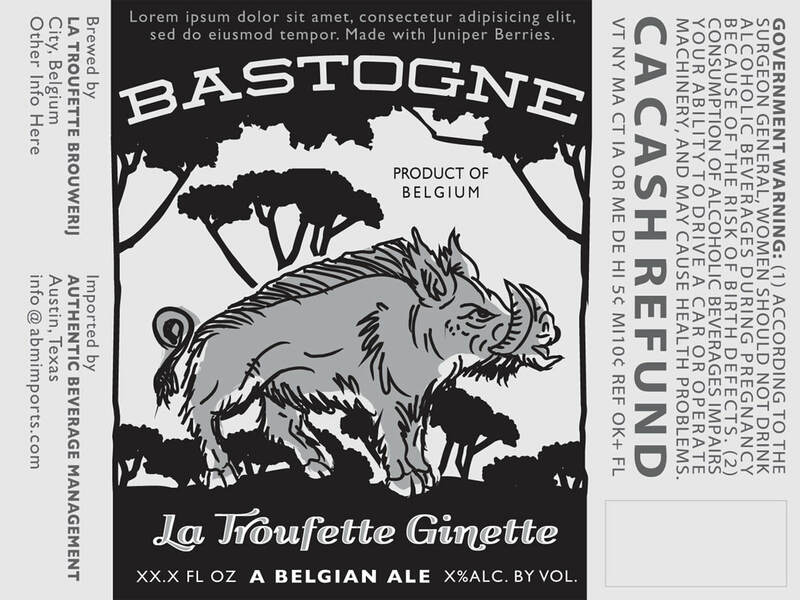 Concept sketches and preliminary label mock-ups.